Will definitely visit again to see how the development is going as I am planing to buy a property here, hopefully it will be a good investerment, as the area is great and not too busy. This development has immaculate finishes and ideal structural designs. Concierge is always a pleasure, always willing to help and are very effiecng dealing with deliveries. Would like a few more restaurants within the development. And possibly an upgraded fitness suite. Had some issues early on. Leaking bathroom etc, all repaired. Quality isn’t great overall. 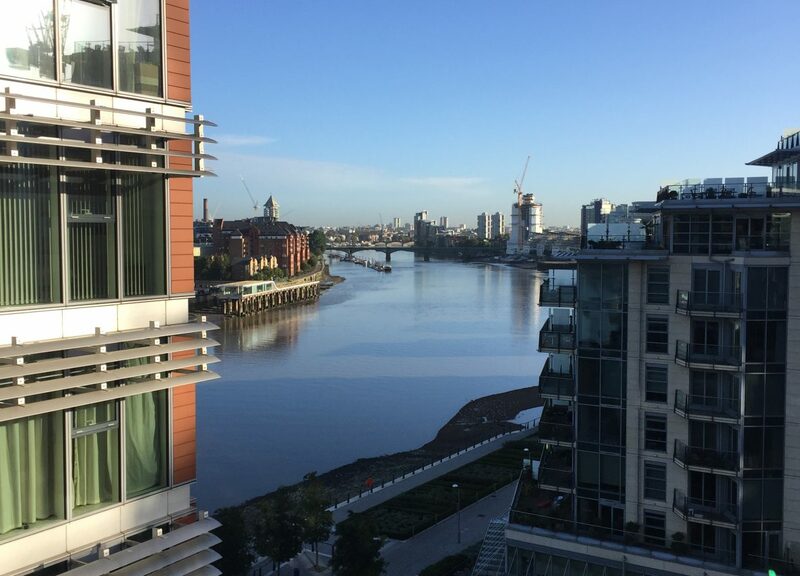 Viewed a 3 bed flat on the front of Battersea Reach… flat was absolutely fine & very similar to many others I’ve viewed but this was all about the views. Being situated on the bend of the river the views east & west went on for miles. Chris from Martin & Co was extremely helpful & insightful on the viewing. It’s a great flat but the view is costly! Not great communication links and situated on a very busy roundabout but being south of the river is a bonus in terms of the sun setting on the balconies. 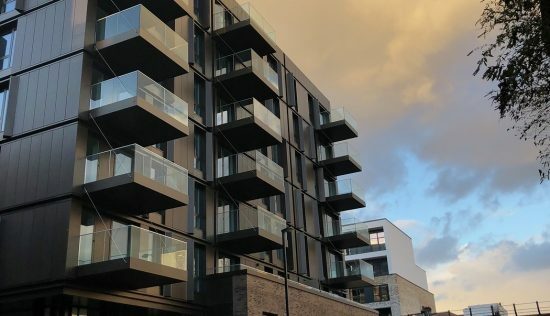 With two professional friends, I rented a 3-bed 1200 sq ft apartment on the upper floor of Spinnaker House, one of the middle phases, for £3400 pcm (2016). 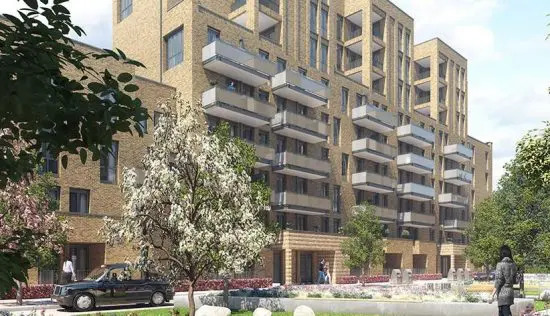 Battersea Reach itself is a relaxing, peaceful development, with a huge frontage to the River Thames. The provision of amenities is ok, with a gym, and concierge service. The concierge desk is a good 5 minute walk away (from Spinnaker) meaning collecting packages involves a 15 minute round trip, which is not ideal if you are a busy professional arriving home late most evenings, and they don’t drop off packages to your apartment. The commercial and restaurants spread across the development are a bit bland (Tesco Metro, Estates Agents, Youngs waterfront pub), so you have to take a 5 mins walk over busy roads to Old York Road for nice cafes, restaurants, bars etc. Transport wise , its a bit of black spot – the train station at Wandsworth Town is very busy in the mornings and Clapham Junction is a good 10 min bus journey away. There is a Thames Clipper stop about a 3 mins walk upstream. We enjoy the flat, balcony with view and have had a great year living here with many social party. But we will move to a north London so we can experience London as Battersea Reach not what I expert of London. 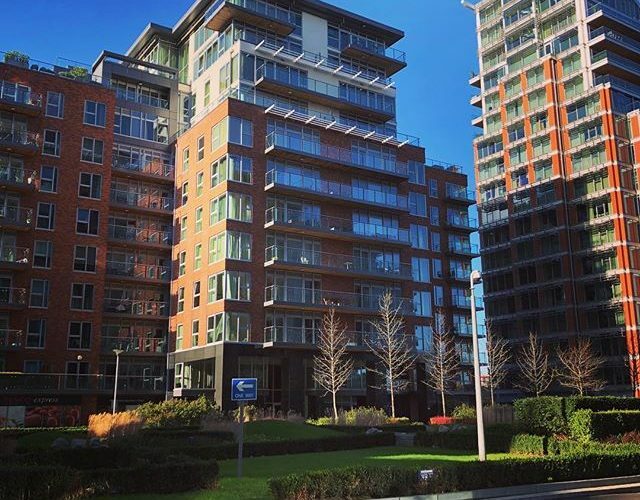 Standing proud alongside the Thames in SW18 is Battersea Reach, developed by St George of the Berkeley Group and designed by Broadway Malyan. 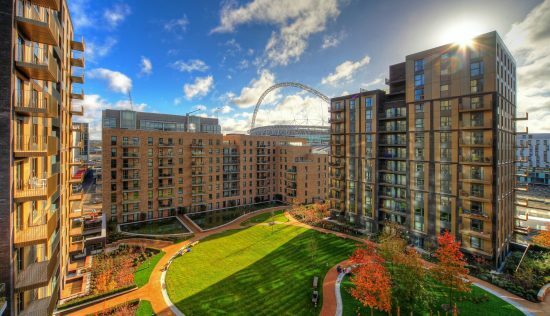 This multi-award-winning development is an excellent example of waterfront community living in London, with a 300-metre river walk and plenty of onsite amenities for its residents to enjoy. 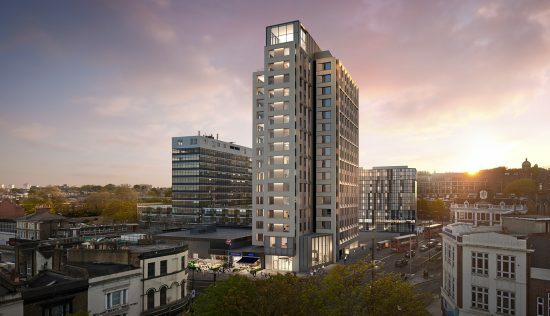 The site was once a disused brown-field site, and has been transformed into a urban quarter that has and will prove popular with buyers looking to escape the busier central postcodes. 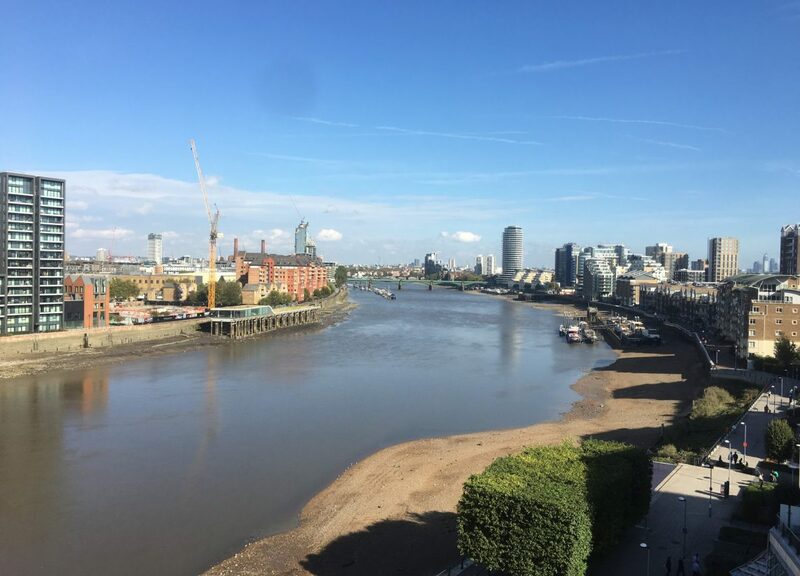 There are around 1,350 1, 2 and 3-bedroom apartments spread over 14 buildings, all positioned to make the most of the river views \” the opposite side of the Thames is not currently the most picturesque, but this will undoubtedly be developed in the future. Price per square foot for Battersea Reach sits around GBP1,163, which isn’t too far above the average for SW18. Families flock to Wandsworth to put down roots, and for good reason. Wandsworth Town Overground station connects to Clapham Junction in just 3 minutes and Waterloo in 15 minutes, where you can pick up the Jubilee, Northern and Bakerloo lines. You can also get to Vauxhall and the Victoria line in 9 minutes. For different modes of transport, the Battersea Heliport and River Taxi services are also a short distance away. Drivers can also get to the M3, M4 and M25 easily from Battersea Reach. There are tons of green spaces like Wandsworth Common and Hurlingham Park, and cafÃ©s and restaurants spill over with families and young professionals. The culture of the West End, the National Gallery and the Royal Albert Hall can be found nearby, while prestigious schools like Chelsea Academy, L’Ecole Des Petits and King’s College London are within easy reach. Although Wandsworth and the surrounding area are awash with boutiques and eateries, you don’t have to travel far to visit a selection on site. Samples the delicious cakes at Cake Boy, have dinner and cocktails at Young’s Waterfront Bar & Restaurant, or grab your groceries at Tesco Express. Riverside Nursery \” a private nursery and day nursery combined \” and the MyHealthcare clinic will also please families. Meanwhile, art lovers will enjoy Plus One Gallery, a leading hyperrealism gallery within the complex. 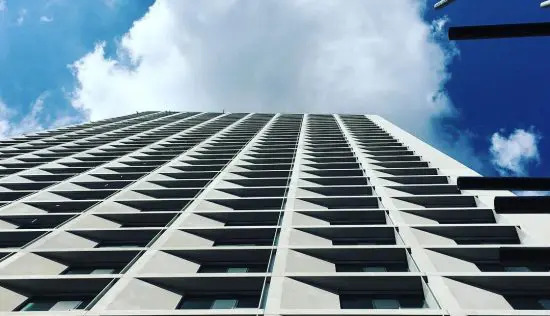 Further facilities for residents include a hotel-style 24-hour concierge service based in Jasmine House to accept deliveries, book transport and the like. A gated underground car park is a plus for car owners (at GBP500 a year), while a fully equipped gym and professional business suite helps residents achieve a healthy work life balance. The exterior of the development is certainly imposing and hard to miss along the waterside. The step-backs give the building a nautical feel, reminiscent of cruise ships and giving large outdoor terrace space to many of the apartments. Inside, the decor is neutral and tactile, with luxury lighting and flooring a key feature. A lot of the units are dual aspect, south facing, with multiple outdoor spaces. Kitchens feature handleless drawers, composite stone worktops with high-gloss doors (available in three different colours) and Siemens integrated appliances. In the bathrooms there are fully tiled porcelain walls and floor tiling \” again with three options \” a mirrored cabinet with shelving and recessed LED ceiling lights. Living rooms include engineered timber flooring and a TV media plate, while bedrooms are carpeted, with bespoke wardrobes providing plenty of storage. There’s a video entry phone and CCTV covering the whole of Battersea Reach, with secure fob access to all residential buildings. Similar developments to consider in SW18 are The Ram Quarter and Riverside Quarter. Pinnacle House – Good spec. I moved into The Pinnacle (Or Pinnacle House as some call it) around 10 months ago. Its a 1 bed apartment. The apartments look great, with many mod cons (coffee machines, underfloor heating, Air con) and are nice a quiet. I rent through Martin & Co. who are really helpful and everything seemed to be seamless for moving in in comparison to other agencies ive used. The concierge team are really helpful and communal areas are kept very clean and tidy. There is excellent healthcare services also. The place is very quiet, with many apartments only used for a few weeks of the year and left empty the rest of the time. It can be hard to get back here from central London as there is no tube station nearby. That said Clapham Junction and Imperial Wharf are about a 10-15 min walk away (with links to the district and central lines) and Wandsworth Town station is less than 10 mins away. That said you are looking at a taxi for later evenings out in the city. You can however make use of Clapham Common on the 24 hour northern line which is 2 miles away. There is a large pub onsite that does food and has an outdoor area overlooking the river, staff are very friendly. The Tesco Express is handy, and there is a Co-Op nearby and a garage that has an M&S food also. There are other amenities however most dont stay open very long. The small modern gym is ok if you want to keep fit and is open most of the time if not 24 hour, but the nearby Virgin Active is needed if you like doing weights. The apartments are designed to a high spec. however my apartment has a small basin in the bathroom, a high toilet only suitable for taller people, and there are no plug sockets in the kitchen area. That said the ovens have a microwave, and all the appliances are plugged in behind the kitchen suite. There are lights in the wardrobes, but they just shine in your eyes when you open the doors. The Pinnacle is very close to other apartments, my apartment only has blinds. The blinds are very good and you cant really see into peoples apartments, but you always think that you can be seen. The blinds also dont prevent sunlight shining in so there is no TV use on sunny days, and the apartments get very warm. (thankfully there air con is excellent). When the lights are on in the evenings however it is very easy to see into the apartments. As there is so much glass heat disappears quickly in the winter, though again the air con can heat the place relatively quickly. The outdoor spaces (balconies) are excellent, i have sun on at least one balcony at any time on a sunny day. They have lights for an evening sitting out. No TV when the sun is shining! The trains are no substitute for the tube late at night. As a mum having facilities on site is so helpful – the supermarket etc – but Riverside nursery has been incredible. Such a great team of staff. At Christmas they had a play and even the little ones got involved and we have met lots of parents and neighbours through events at the nursery. Don’t get me wrong, our apartment is great, I love the views and location but sometimes there is one thing that makes the difference and knowing your child is happy whilst you are at work tops it for me! The communal garden areas and play area are great for the summer too. There can be a bit of a waiting list so make sure you get your name day as soon as possible and don’t leave it until the day you move in!